Our good friend Capt. 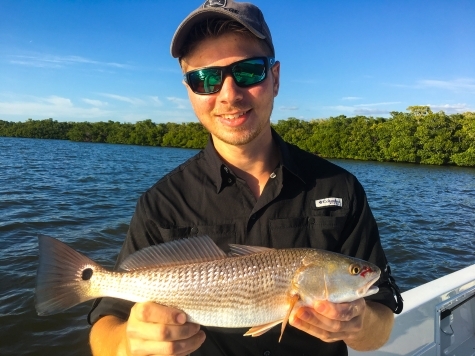 Josh Roberts from Fish Southwest FL Charters has been catching a lot of Redfish lately and invited us out to fish for some. He's located out of Lover's Key, and if you're in the Naples/Bonita/Fort Myers area, we HIGHLY recommend him. There were 4 of us on the boat, and we were all using different baits. It seemed like the most effective was a dark colored paddle tail with a chartreuse colored trail. But free-lining a shrimp, putting a shrimp on jighead, and even a suspending twitch bait hard plastic all worked as well. Since the water gets skinny towards the back of the bay, we planned on trolling by the mangroves on our way to our Redfish spot. 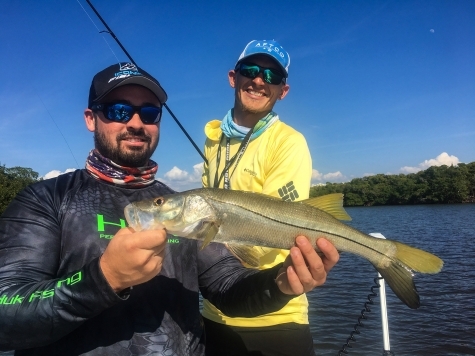 As we did so, we were catching countless Snook in the 20-25inch size range. Pretty much every 5 casts we where catching one. We got to our spot. 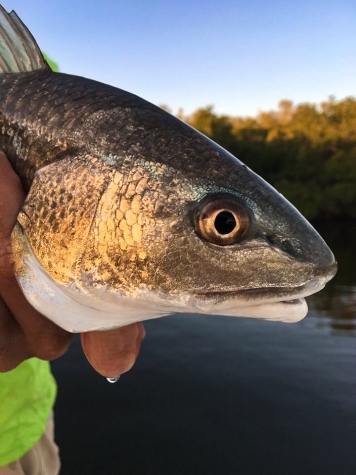 Within just a few casts of getting to our spot, Damien got this little Red, which ended up being an inch under slot. 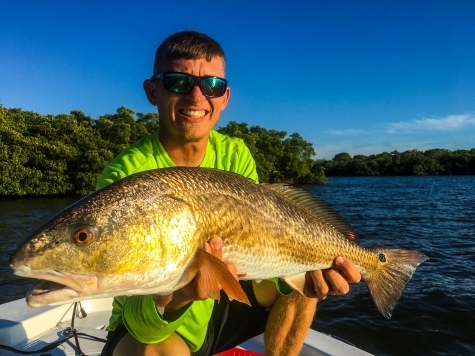 He was using a free-lined shrimp, which ended up being the first to be hooked up with a Red. 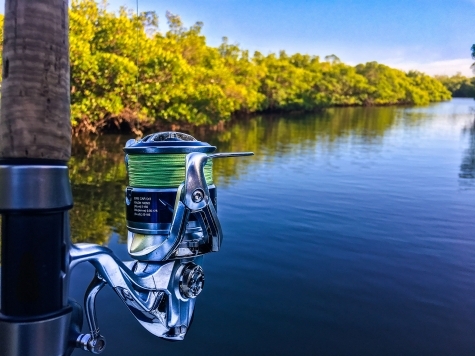 The bite got quiet for about 30 minutes as we worked the mangroves, casting our baits as close to them as possible. Then, all of the sudden, Josh gets hooked up and puts a Red into the boat. Unfortunately this one was 2 inches over slot, so we had to let her go.